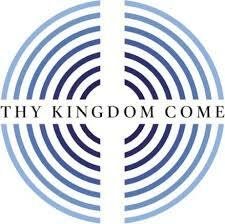 Thy Kingdom Come is a global prayer ovement, which invites Christians around the world to pray between Ascension and Pentecost for more people to come to know Jesus Christ. There are specific events planned both at All Saints Ilkley and elsewhere and for this and more information – please click here. This article was posted in Ministry, Prayer. Bookmark the permalink. Follow comments with the RSS feed for this post. Both comments and trackbacks are closed.